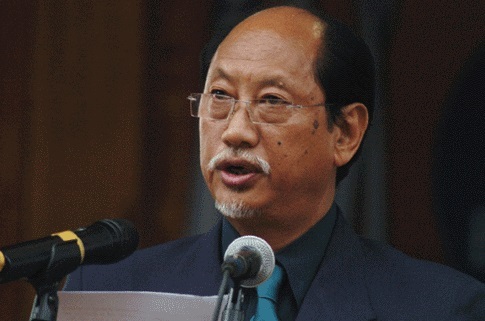 Nagaland chief minister Neiphiu Rio on Saturday said the state government has decided to computerise the inner-line permit system to check influx of illegal immigrants into the state. He urged the owners of commercial buildings as well as employers to check the documents of outsiders before renting out their houses or employing them. Addressing the 74th Khonoma Rüffüno village anniversary at Terhotsiese, Khonoma, 20 kms from Kohima town, Rio assured the support of the government to the student community and youth organisations in their efforts to check entry of illegal immigrants. He described illegal immigration as a tremendous menace and a threat to the progress of the state. The chief minister urged the student bodies to protect the inner-line permit system, stating that the government alone cannot maintain it unless everyone becomes a stakeholder. He said only when the people develop work ethics, only then the state can tackle the problems of illegal immigrants. “We are unemployed in our own land whereas outsiders are employed in our land,” he lamented. Emphasizing the importance of unity among the Naga people, the chief minister felt that the Naga society is not moving or progressing much as unity and oneness among the Nagas is still missing. According to him, unity gives courage, power and strength for one to achieve great things in the society. Rio urged the gathering to uphold their unique quality of being ashamed of doing what is wrong and to hold pride in doing what is right. He stated that if the Naga people are to progress and flourish as a people and society then the Nagas need to develop a sense of oneness and unity among ourselves, work together for the Nagas as whole. Rio also pointed to land acquisition as one of the major hindrances for taking up any developmental work in the state. He said the cost of land acquisition becomes costlier than the project in most cases even as the Centre is willing to provide funds for development. Referring to the pathetic and deplorable road conditions, Rio said poor drainage, poor workmanship, and lack of adequate funds added to the problem. However, he assured that his government has made it a priority to provide good roads to the people.